World Vision is committed to helping our microfinance institution in Senegal flourish and thrive. By this we mean that it can grow to the point that it is able to meet the critical needs for financial services in many of the areas of the country where World Vision works, and is able to pay its own costs from revenues it earns from lending. Right now, VisionFund Senegal is not large enough and does not have enough capital to meet those goals. Almost any business in the world that wants to grow needs access to financial services to fuel its expansion. Since most of the people living in extreme poverty are running their own farm or small business, access to microfinance is critical to their ability to earn their way out of extreme poverty. The people we seek to serve are not poor because they have “fallen” into extreme poverty. Rather, they have never had the chance to grow their farms and businesses so they can provide well for themselves and their children. With almost 13,000 clients and a loan portfolio of approximately $3 million, VisionFund Senegal is growing and progressing. Women make up 86% of its clients (above the global average of 72%), 54% of its lending is taking place in rural areas, and almost 5,400 people have taken out agricultural loans. These achievements have taken place while VisionFund Senegal has expanded to the country’s south in order to better meet the needs of World Vision’s efforts with the country’s poorest and most vulnerable people. 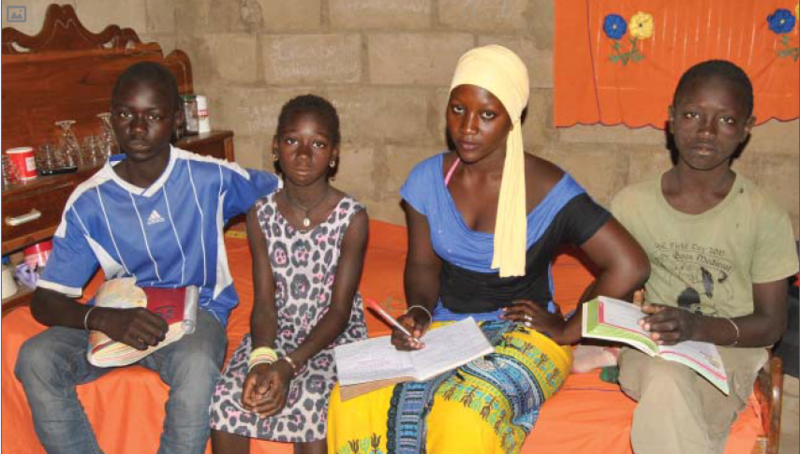 Dieynaba’s story shows why we want to expand our capacity in Senegal. Dieynaba Sy and three of her children. They are able to study at night due to their new solar panel. 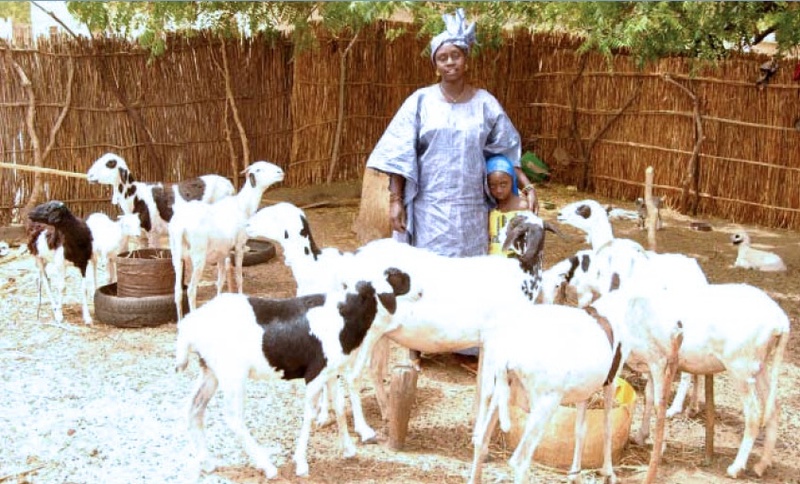 Dieynaba Sy, 41 (pictured above with goats she bought with help from VisionFund loans), and her husband have five children—four girls and one boy. Before the family became involved with World Vision and VisionFund, Dieynaba made her living by raising animals and had a small trade business. But she earned only about $35 a month. That wasn’t enough to help provide all of her family’s needs. Two of her children were sponsored through World Vision. Dieynaba heard about and joined a savings group, called Khar Yala, in the village of Fandane. That was in 2016. Her business needs meant she needed more capital than was available from her savings group. Dieynaba took out her first loan with VisionFund of about $520 and bought goats. She paid it back and now has a loan of almost $700. After paying off her loan, she makes about $78 a month, more than twice what she did before. She uses the money to sell more frequently at bigger markets. She’s also received capacity-building training from VisionFund. All of her children attend school in the village. The loans have allowed her to take care of the food, health, educational, and clothing needs of her children. She also installed an indoor faucet and a solar panel so her children can study at night. World Vision is seeking to raise a total of $15.5 million for VisionFund Senegal, and World Vision USA has committed to raising $2.5 million. To date, World Vision USA donors have provided over $1.35 million towards this goal.